Biochemic Cell Salts. 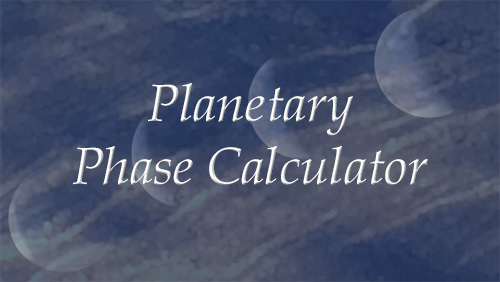 Natural Principles of Resonance & the Link to Astrology and Well Being. 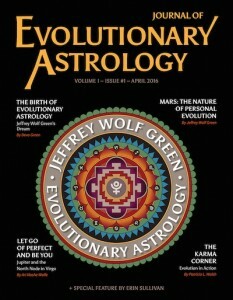 Journal of Evolutionary Astrology, April 2016. Years ago, I was around 11 or 12 years old, my mother began using Tissue Salts. This is my memory, which may not be quite accurate from my Mom’s perspective or time’s perspective. It’s close anyway. I remember that she gave me particular salts for specific issues I was having. Stomach upsets, headaches, growing pains and the like. 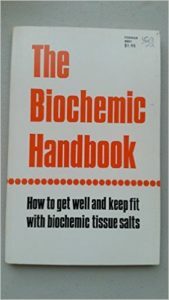 She had a small booklet called The Biochemic Handbook: How to get well and keep fit with biochemical tissue salts. $1.95 was the price tag. Years later I found another one at a second hand store marked up to $2.29. Using Tissue Salts, also known as Cell Salts and sometimes Mineral Salts, for resolving complaints and supporting wellness has become a natural way for me over the years. Over time I have found that certain Tissue Salts are particularly useful for me and my constitution. At this point, I should explain what Tissue Salts are. They are inorganic constituents of cells. These components are the building blocks of cells and life. Back in the mid-1850s a German scientist, Virchow, who made many scientific discoveries including recognizing leukemia cells, contributed to the development of “cell theory”– that the body is made up of cells. This led others, including and likely most recognizably, Dr. W. H. Schuessler, to create the Biochemic System of Medicine which conveyed the importance of 12 inorganic substances found in cells to our well being. Without a balance of these 12 substances, they are all essential, the body can find itself in predicaments of disease or discomfort. The result of these discoveries led to developing Tissue Salts, which are very closely aligned with homeopathic remedies and created the same way. Just as with other homeopathic remedies, one determines which Salt is desirable based on symptoms one is experiencing, rather than the name of one’s ailment. For example, someone with water retention or liver/gallbladder issues may find the Tissue Salt called Natrum Sulphuricum (short name is Nat. Sulph.) helpful. A headache in the morning relates to a different salt than a stress headache. Fortunately, these 12 Salts are also known by their numbers, because the actual names take a bit of getting used to. There are four categories: Phosphates, Chlorides, Sulphates and Flourides. They are components of the muscles, nerves, connective tissues, bones, brain, cartilage, skin, hair. The numbered list is at the end of this article. These Tissue Salts are easily found at health food stores and there is lots of documentation on-line and in books. The best part about them is that there are no known contraindications of side effects and they work so well even for children and animals. 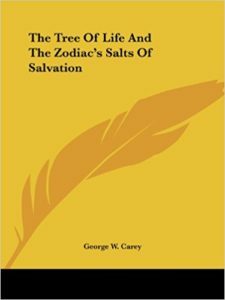 In the 1910’s, a U.S. physician, Dr. George W. Carey, and his collaborator, Inez Eudora Perry, found themselves, through research and collections of case studies, pinpointing the vibration of each mineral of the 12 salts to a zodiac sign. 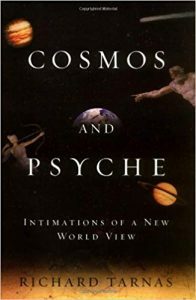 The work is fascinating and the writings by these two describe, in the now archaic language of the times, the spiritual, chemical, and cosmic law alignments of minerals to planetary and zodiacal energies. Dr. Carey writes about the Chemistry of Life and the Natural Law of Chemical Affinity. The books discuss Esoteric Chemistry and a spiritual point of view that supports “As above, so below”. From The Relation of the Mineral Salts of the Body to the Signs of the Zodiac, “A little earnest, patient study will open the understanding of any one possessed of ordinary intelligence and make plain the great truth that the UNIverse is what the word implies, i.e., one verse. It logically follows that all parts of one thing are susceptible to the operation of any part. The reason I found this information so fascinating is because after years of using the tissue salts, there is one Salt which I make use of more than any other. 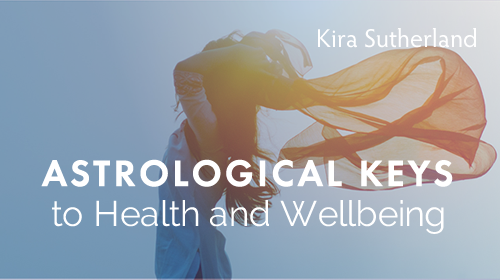 Then, in studying Kim Marie’s Evolutionary Astrology’s Wellness Course, I learned my favorite and most helpful Tissue Salt IS the one connected with my Sun sign! The second favorite with my Mars sign. Now I am experimenting with the Salts in a new way. I’m working with the Moon, Mars, Rising Sign, the sign on the 6th house and the sign the ruler of the 6th house is in, plus contacts they make with other planets. The Sun/Moon midpoint is often a describer of health and that may be another point to work with. Significant transits or progressions to these areas may be eased through support from Tissue Salts. At least, this is a possible scenario requiring observation and correlation. Offer: If you are as interested as I am in wellness and in this relationship between Cell Salts and Astrology, I would be delighted to provide you with the names of the Salts that are relevant to what is listed above as a way to begin your own experimentation. If I don’t already have your birth information, email me your birthday, birth place, and including the birth time. If the time is not available or the time is questionable, send me what you do know for certain, and I’ll respond with what I can, including a wee description of what each tissue salt can help with. The internet has loads of information as well. Always seek consultation with a qualified health care professional with regards to any health concerns. This information is intended for informational and research purposes only. Here are the 12 Biochemic Tissue Salts and Astrological correlation. Nerve Tonic. In tissue and fluid of nerve, brain and muscle cells. For depression and sadness. Nerve issues like Shingles (very helpful for the pain right away every half hour. 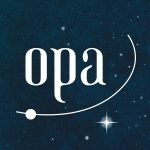 I have a personal story to share if it would be helpful.) Tension headaches, memory. With Mag. Phos. can restore good nerve functions. Helpful for timid, unhappy, fretful children. Aries/Mars rules: The head, red blood cells, the adrenals, male sexual organs and libido, vital energy, muscles, tendons and ligaments, primary brain, testosterone and progesterone. Water Eliminator and Regulator. In blood vessel walls and cell coats. For digestive issues, fatigue in the morning, liver/gallbladder upset, detoxes poisonous fluids, constipation. Colds that affect the throat (Taurus) and are rooted in Digestive System. Ailments from humid, damp conditions. Taurus/Venus rules: Kidneys, white blood cells, nose, receptor cells, spleen, tongue, inner brain, estrogen, cortisol, neck, throat, capillaries, veins, arteries. Glandular Tonic. In every body tissue except bone. For mucous congestion, glandular swelling, coughs especially chronic inflammation. Helps form fibrin in the blood, which removes mucous discharges. Ears, throat, lungs, tonsils. Headaches if constipated, white tongue coating or liver is sluggish. With Kali. Mur. take at first sign of illness. Gemini/Mercury rules: Anatomy of ears, central nervous system, motor nerves, shoulders, arms and hands, sciatic nerves, lungs, bronchioles, tubes of the body, dexterity, short term memory. Elasticity. In surface of bones, blood vessels and muscle tissue. For varicose veins, cracked skin, hemorrhoids, muscle and ligament injuries. The containers of the body are nourished like the air sacks and stomach. Helps with emphysema, loose teeth, diseases of the bone surface, muscle elasticity. Symptoms are worse in humid conditions. Cancer/Moon rules: Containers of the body, fluids, the right eye in women, the left eye in men, optical nerve, retina, pupil, tear ducts, bladder, female sexual organs, loose connective tissues, mucous membranes. Nerve and Muscle Relaxant. In blood, bone and teeth. It is an anti-spasmodic. Helps menstrual and other cramps, hiccups, neuralgia, sciatica, headaches with stabbing pains, flatulence (can be a deficiency of magnesium). Magnesium is an important preventive mineral against heart attacks. Convulsions. Works well dissolved taken with a bit of hot water. Leo/Sun rules: Cardiovascular system, circulation, heart, left eye in women, right eye in men, life force, vitality. Skin Salt. In cells lining the skin. Works with Ferrum Phosphate to carry oxygen from the blood to the tissue cells. Helps distribute oils in the body thus good for digestive process. Good when there is a sticky yellow discharge from skin or mucous membrane. For hair, dry scaly skin, dandruff, chicken pox, also intestinal disorders and inflammatory conditions to promote sweating. Virgo/Mercury rules: Small intestines, digestion, the anatomy of ears, central nervous system, motor nerves, shoulders, arms and hands, sciatic nerves, lungs, bronchioles, tubes of the body, dexterity, short term memory. Acid Neutraliser. In blood, bone, muscle nerve and brain cells. For acid/alkaline balance, indigestion, heartburn, intestinal worms and parasites. Deficiency can cause kidney stones and gout. Helps kidney function, emotional equilibrium, fat assimilation, lumbago, fibrositis. Libra/Venus rules: Balance regulation, kidneys, lower back, white blood cells, nose, receptor cells, spleen, tongue, inner brain, estrogen, cortisol, neck, throat, capillaries, veins, arteries. Blood Purifier and healer. In skin cells, connective tissue, bile and blood from the liver. Coats the sexual and elimination organs. Cleans out decaying toxic matter. For wounds that heal slowly and detoxification. Septic conditions. Too little can result in impotence or barrenness because egg/sperm do not receive protective coating. Prevention of sore throat and colds if taken at first symptom. For teenage acne and pimples, take with Kali Mur. Scorpio/Pluto rules: Colon, liver, gallbladder, pancreas, elimination system, endocrine system, sexual organs, RNA/DNA brainstem, co-rules just about everything that the other signs have, enzymes, hormones, insulin, spinal fluid. Cleanser, Eliminator and Conditioner. In connective tissue, lens of the eye, hair, nails, blood, bile, bone and nerve sheathe. Nourishes skin, nails and hair. For bad smelling perspiration and smelly feet. Detoxes eliminates unnecessary organic matter. Helps to break up abscesses, and helpful any place pus develops. After surgery to minimize scars. For all septic conditions. Sagittarius/Jupiter rules: Below the hips, Liver, Thyroid gland, nerves including sciatic, right brain, gallbladder, general coordination of the body. Bone Health and Nutrition. In bone, teeth, connective tissue and gastric juices. Needed for blood coagulation, tones tissues and week organs. Remedy for teeth development trouble or slow growth in children. For rickets, constitutional remedy, circulation, anemia in young girls, bone healing and development, convalescence, digestion improvements. Gentle calcium for children and pregnant women. Capricorn/Saturn rules: Spine, skin, skeletal system, cell structure, joints, valves including heart valves. Fluid Balance and Water Distribution. In every liquid and solid part of the body. Produces necessary hydrochloric acid for digestion of calcium rich foods. For too much or too little moisture, runny nose and loss of smell or taste. Too little water and the electrical system of the body over heats the body and disturbs the nervous system. Many symptoms if water is imbalanced: Hayfever, low spirits, slow digestion and difficult stools, muscle weakness, headaches, tired in the morning, craving salt, insect bites and stings. For edema, nervous disorders, watery eyes, dry flaky skin. Aquarius/Uranus rules: Ankles, lungs and bronchioles (with Mercury), brain in general, electrical system, neurons, synapses, hypothalamus, medulla, dendrites. First Aid Salt and Oxygen Carrier. In all cells. For inflammation, first stage of illness (taken every half hour as necessary), cuts, throbbing, redness, bleeding, hemorrhages. Any time ailment is worsened by lack of oxygen: congestion, high temperature, fast pulse. Lack of red blood cells, anemia. Old age ailments. For bleeding put crushed powder of a tablet on the wound. Good to take with all other salts as a companion as it makes the rest more effective. Pisces/Neptune rules: Pineal gland, thymus gland, B and T cells, immune system, feet, spleen, fluids in the body, lymphatic system. Yes, there is overlap of rulers between the signs. Yes, this is not full list. Where to purchase Tissue Salts. Hyland’s Cell Salts, seem to be the best known and are easily found in health food stores in Canada and the States. Another brand in Canada is Thompsons. 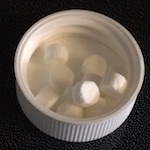 They carry cell salt tinctures for those who are intolerant even of the small amount of lactose in the tablets. I’ve seen sprays available and other brands, too. The Biochemic Handbook (St. Louis, Missouri: Formur Incorporation Publishers, 1976) Originally published as Biochemic Theory and Practice by J. B. Chapman, M.D. and Edward L.Perry, M.D. Carey, George W. and Inez Eudora Perry, Relation of the Mineral Salts of the Body to the Signs of the Zodiac (Los Angeles, CA, The Chemistry of Life Co.) Books available through www.kessinger.net. Gardenhire, Lorena. Letters By Inez Perry On Using the Cell Salts (Pomeroy, WA. Health Research Books, 1972) This is a compilation. Kim Marie, Evolutionary Astrology Course: Health and Wellness Segment Three, (www.evolutionaryastrology.net) 2008. Interested how Tissue Salts are highlighted in your horoscope? This report has the details and is personally created by Shawn. E-transfer preferred for Canadian requests. I use this brand, but there are others. Keep in mind the European Tissue Salt numbers are different than in the U.S. and Canada. 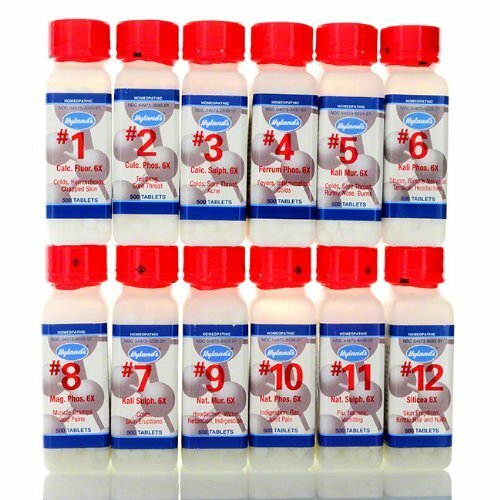 Hylands Cell Salts Kit of 12 - 6X 500 Count Tablets. After all these years still my go-to for quick reference when I look for a symptom. 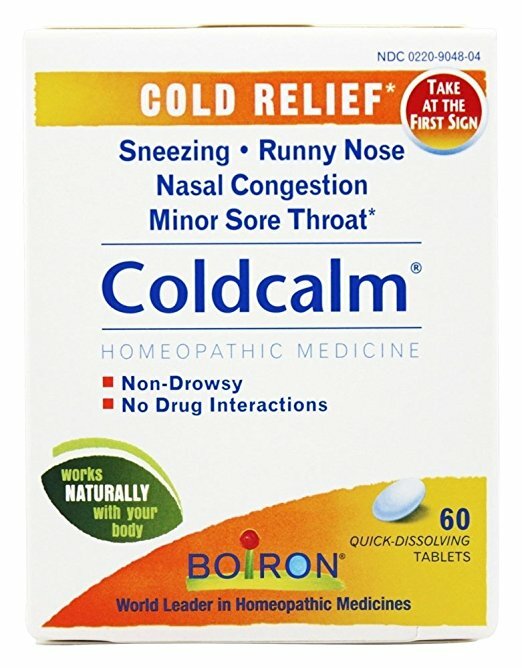 Follow the instructions at the first cold symptoms. I like to keep a couple boxes at home.